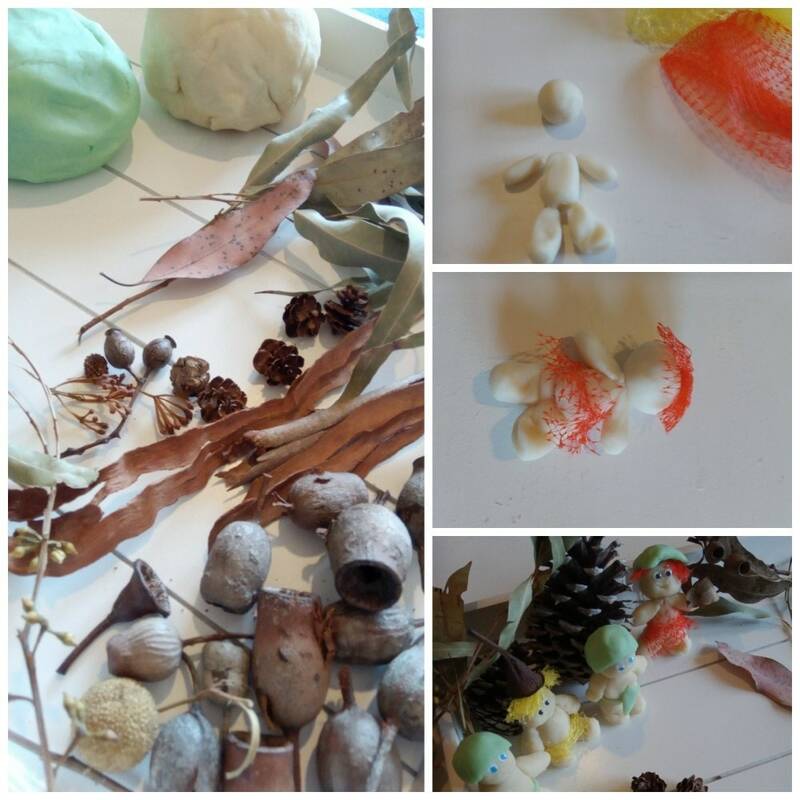 A wet and windy day calls for some indoor play, so we brought our Australian Bush play indoors and made some Sugglepot and Cuddlepie characters with this no-bake play dough craft. 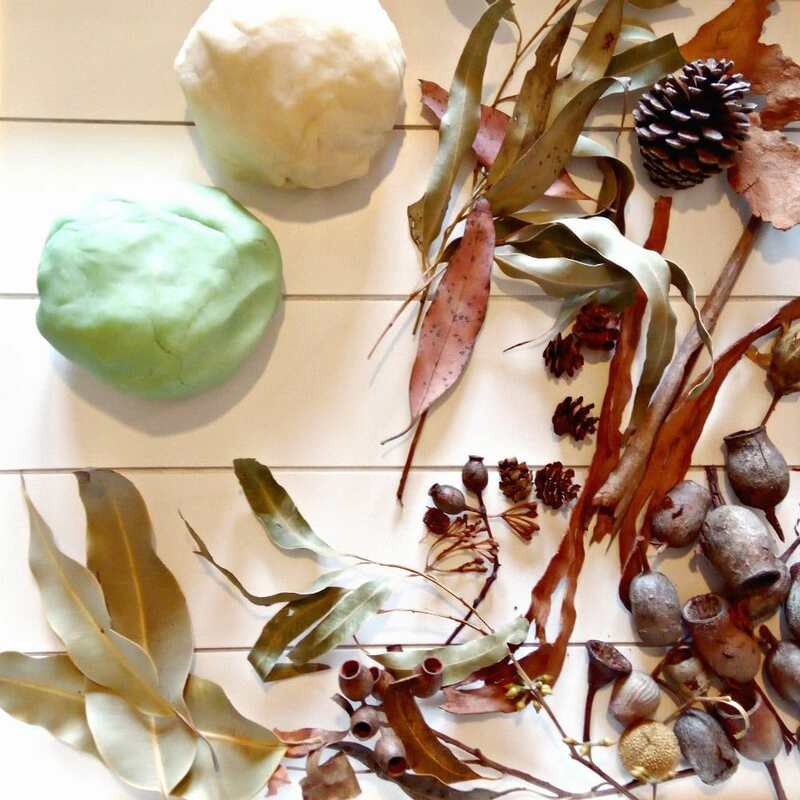 Australian Bush Collection pieces – we used gum leaves, gum nuts, small pine cones and nuts, sticks and bark. 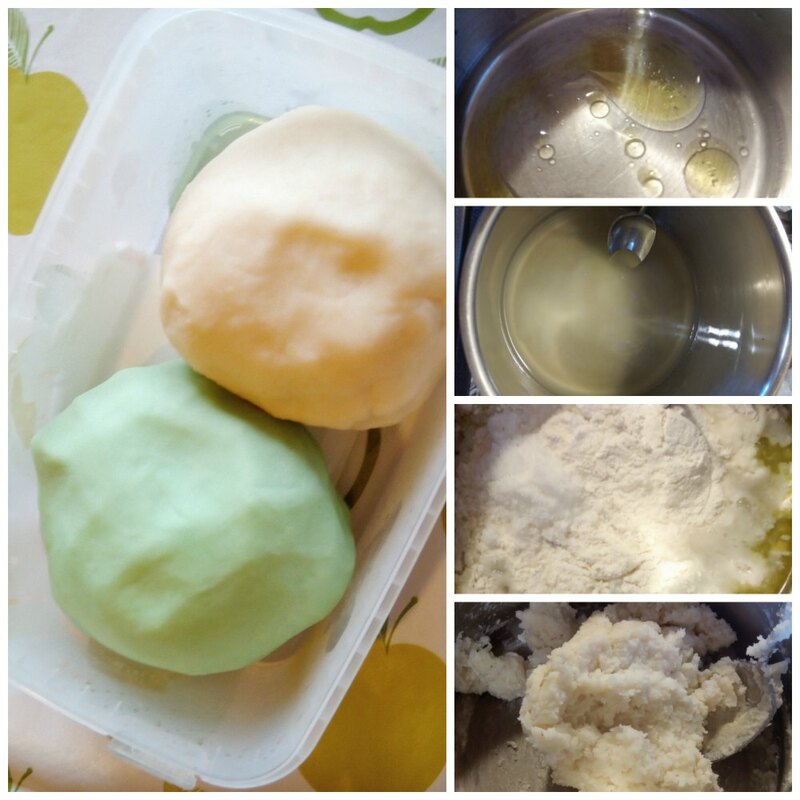 This dough will make 1 small quantity, for this fun we made two batches and coloured one with a few drops of green colouring (add the drops to the water at the start). In a small saucepan over gentle to medium heat add your water, vinegar and oil. It will quickly warm up as soon as you see a couple of simmer bubbles add the salt and flour and stir. Keep stirring until it binds and becomes a dough. How long this take depends on how warm your water was but it will come together quickly 1-3mins. Remove from heat and continue to stir. Once it’s sticking to itself and resembling dough use your hands to kneed a little and bring it together – be careful it may be hot. Leave to cool before playing or allowing the kids to play with it. Once your dough has cooled you’re now ready to play. We didn’t have a set way of playing here we just had some fun. 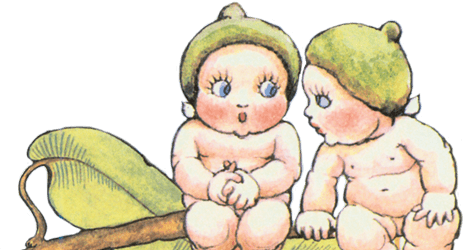 We made our favourites Snugglepot and Cuddlepie and a couple of Bush Babies. We recycled some plastic fruit bag netting into our red and yellow flower blossoms, much easier to use and remove from play dough than real blossom. My daughter wanted a baby bush baby so we made a green leaf and used a gum leaf to make a print into it. Then we made a baby and wrapped it up into the play dough leaf. 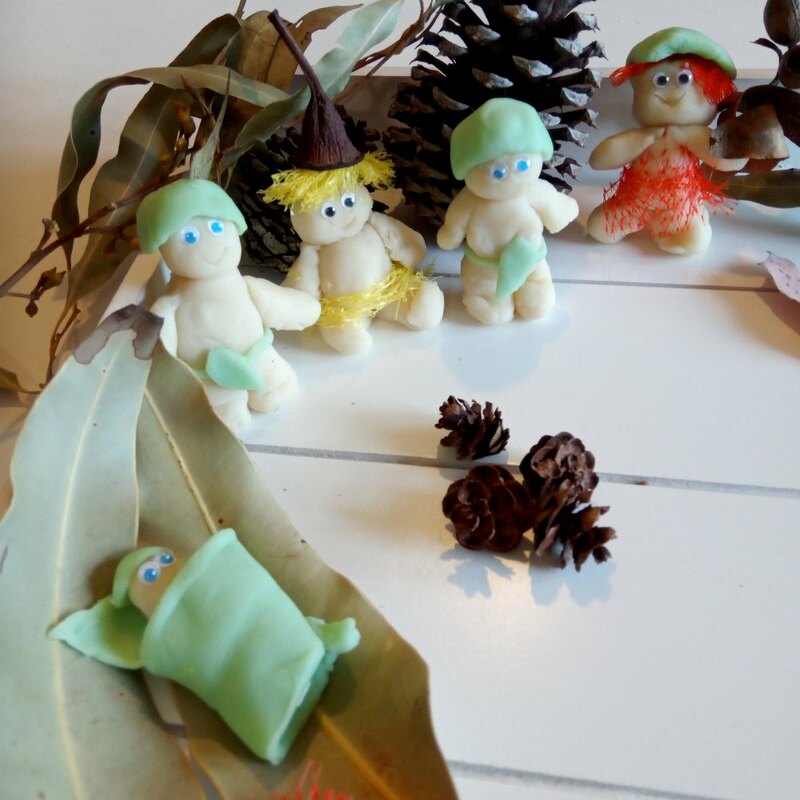 Because it was such a cold day our gumnut babies are sitting around a (tiny pine cone) fire and telling bush stories. Was a fun way to play and explore without having to go out into the weather. Your play dough will keep for a few weeks in an airtight container. « What Can You Do At Wild Life Sydney Zoo?